Tango is passion, connection and pause. It is madness and quietness all at once. When Alex suggested a Tango photoshoot I immediately wanted to plan it! I danced Argentinian Tango back in Italy and in the UK and I always loved it, so I was excited at prospect of framing the beautiful lines of this dance but also to capture the connection between the dancers, their feeling and their moods. Tango shows so many human emotions is a special language of its own. It is not just a dance, it is also a lifestyle! I captures these lifestyle / artistic photos but I was truly feeling an Argentinean vibe! 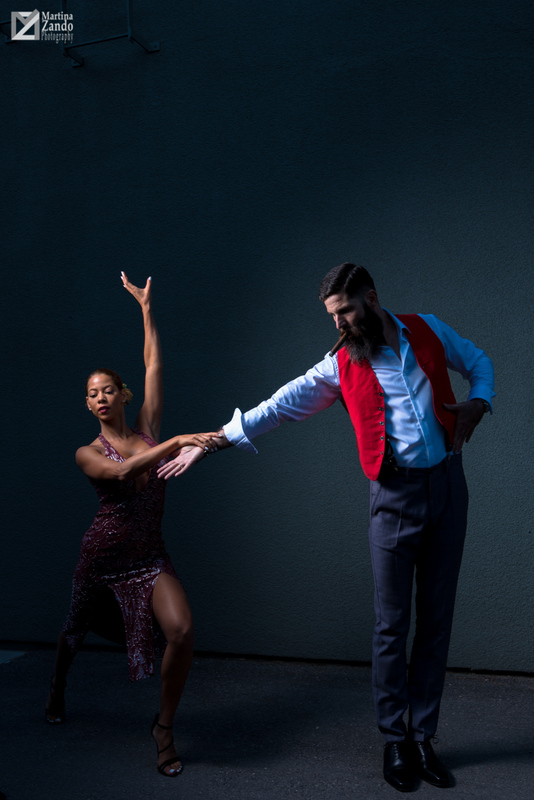 I have included below some of the images from the Tango Photoshoot and some quotes about this wonderful Argentinian dance. A big thank you Lupe Martinez at LV Dancesport for the amazing studio space and to help us choreograph the photos. If you are in Las Vegas and want to dance either ballroom, latin or other standards, that is the place to go! They are truly wonderful. If you are looking for Las Vegas Photography locations, they can help you at LV Dancesport. As photography locations, their wide studio has a lot of scope to capture images. "The beginning and the end of Tango is the walk"
"There is always an element of mystery in the Tango"
"Dancing is like dreaming with your feet"
"Tango cuts through the barriers of language, gender, age and social differences"
The photos below are taken outside from the main studio to catch the original Tango feel of "street dancing" and to make the most of the beautiful Nevada sunset, which are the dream of all Portrait Photographers in Las Vegas NV. Images of this style could be a fantastic idea for dance competitors, aficionados but also for senior photography. "We dance to seduce ourselves"
"Tango dance is not in your feet, is in your heart"
"Tango is a meditation for two"